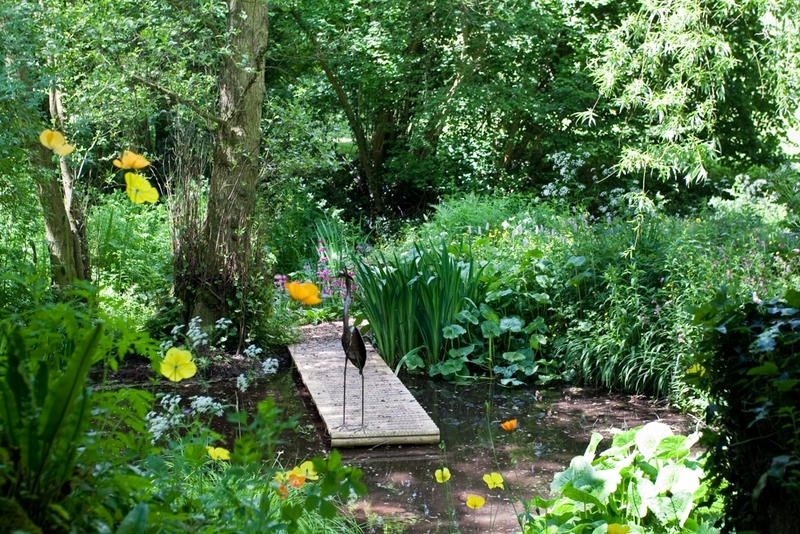 4 acres of woodland, meadows, ponds and streams. 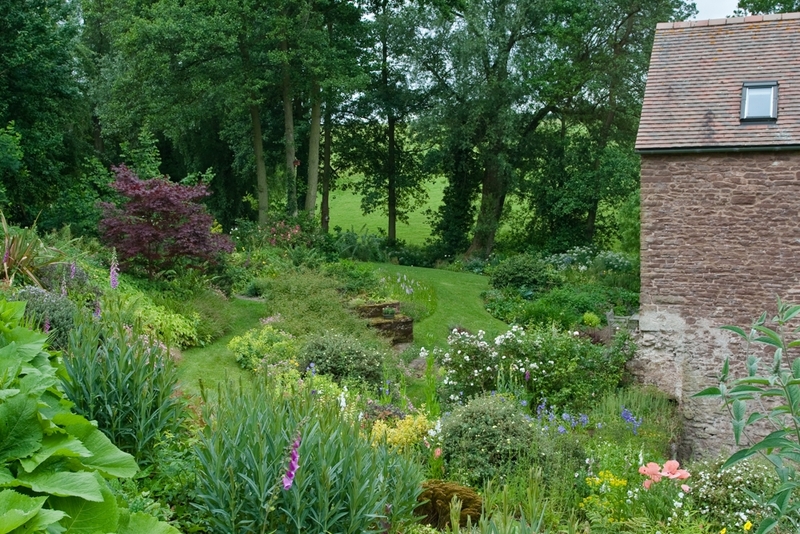 A tranquil and relaxed country garden of scents, sights and sounds. 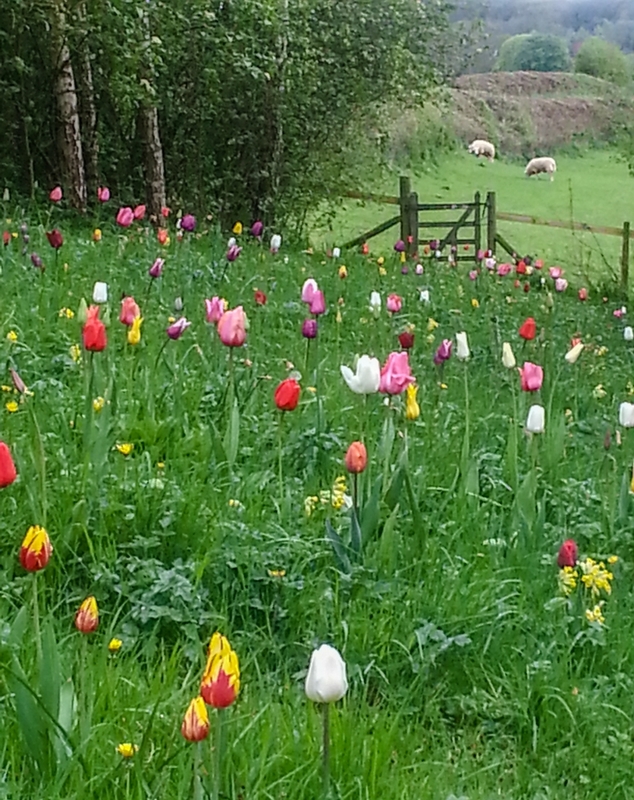 Interest all year with drifts of tulips, wild daffodils and common spotted orchids in spring. Good Autumn colour. 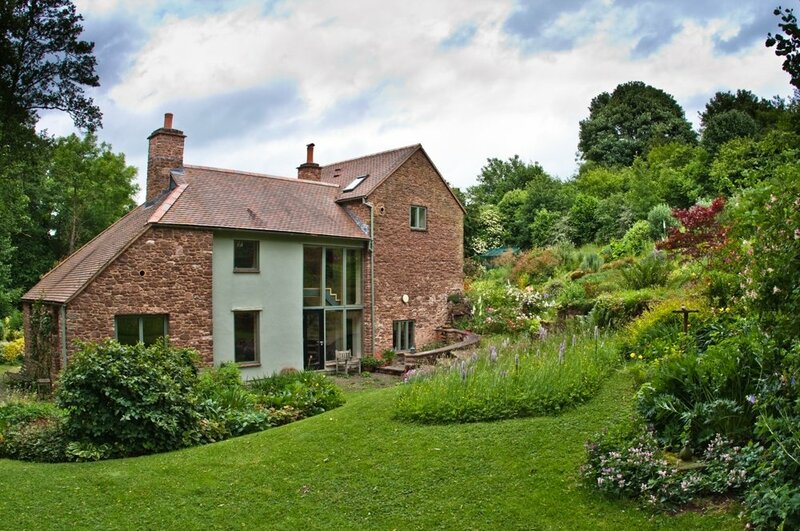 A 17th century water mill – transformed by the owner’s architect son into an award winning home – nestling in the Herefordshire countryside, amid extensive naturalistic gardens. This is a very special place of peace and tranquillity and we have tried not to detract from its natural beauty. 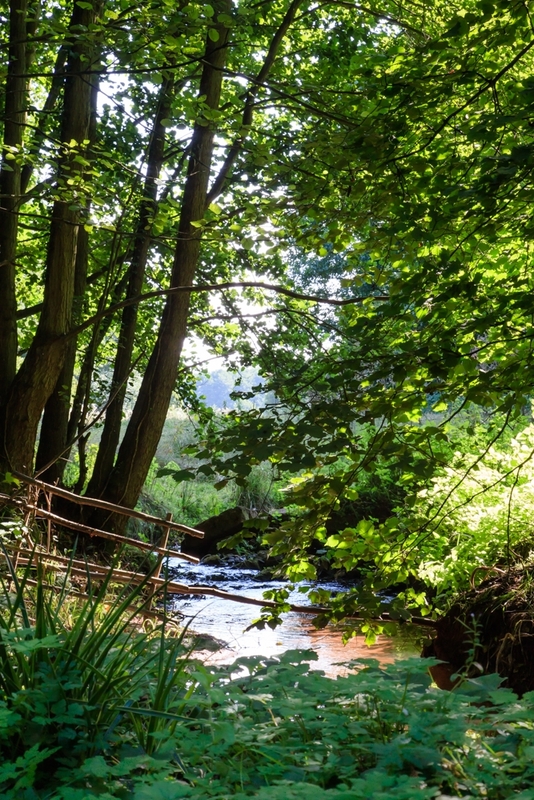 The sounds of water in the brook, the wind in the trees and birdsong are an important part of the garden. 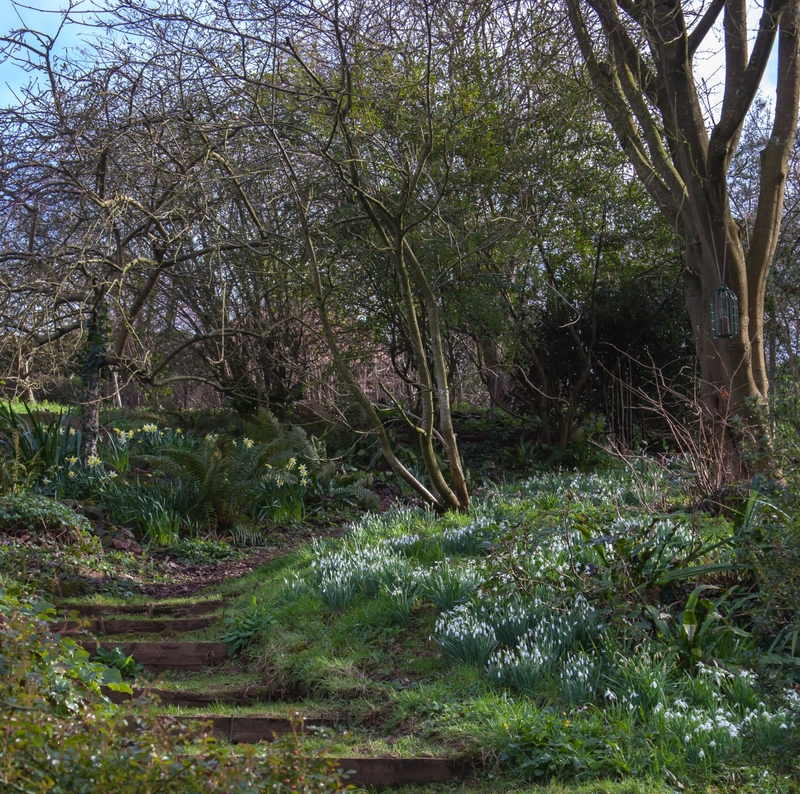 Winding paths lead through the meadows, woodland glades and orchards. 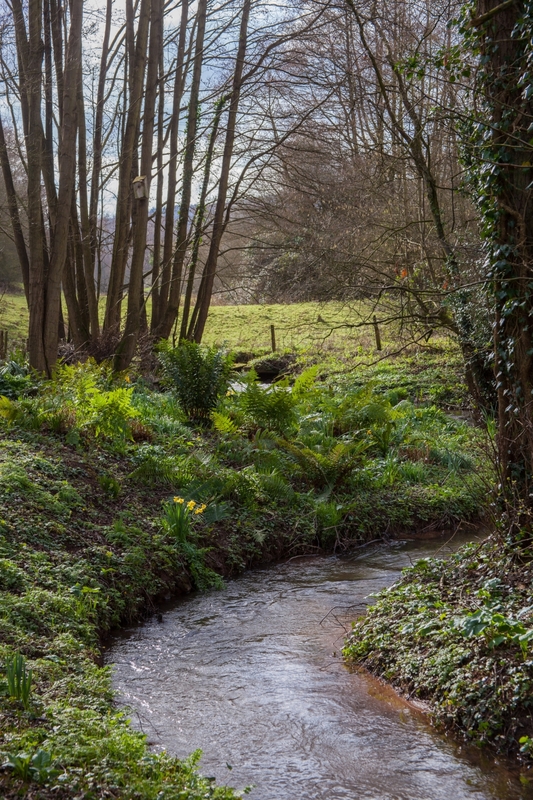 Banks are thickly planted with grasses, shrubs and groundcover and primulas thrive by the water. In Spring, native daffodils drift into the fields and orchids seed themselves among the grass. 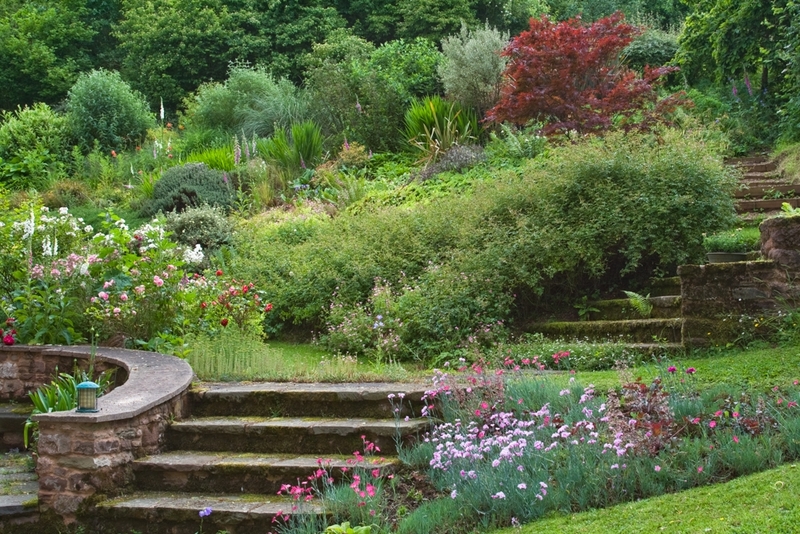 The garden appeals to people of all ages. Children especially enjoy the garden trail, with freedom to explore and search for tree faces, a man and his dog, a tree climber and the lady by the stream. 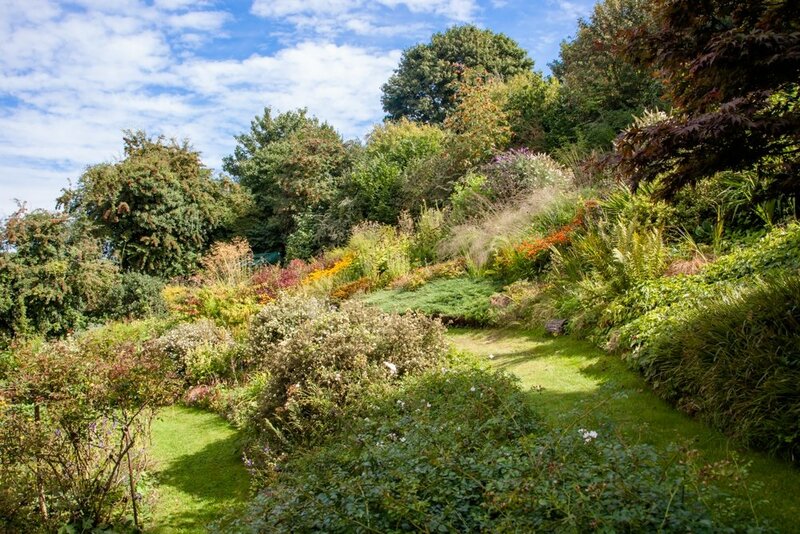 There are ample places to sit and rest or enjoy a picnic with views into the surrounding countryside. After exploring the garden, enjoy a selection of home-made cakes in sunshine on the terrace or by the warmth of the Rayburn in the kitchen. Pop-up Art Exhibition in house. Sculpture in the garden by Simon Probym. A40 Ross to Gloucester. Turn L at T-lights at Lea Xrds onto B4222 signed Newent, Garden ½m on L. Parking for disabled down drive. DO NOT USE THE ABOVE POSTCODE IN YOUR SATNAV - try HR9 7LA.